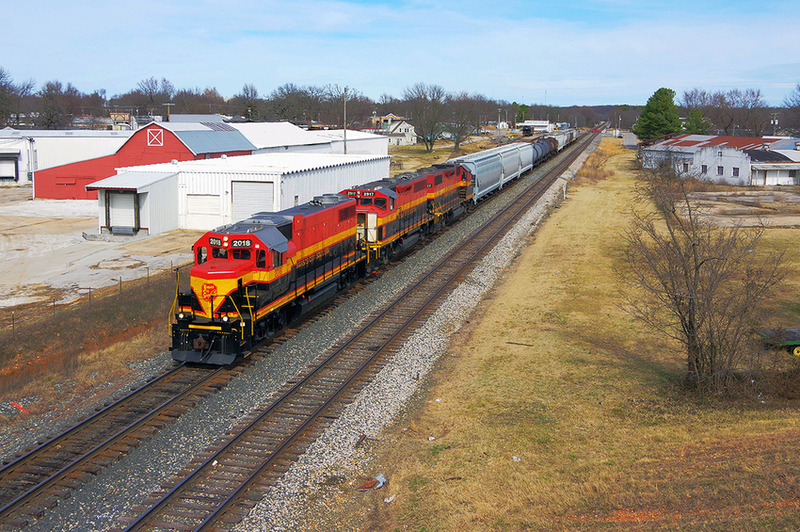 Kansas City Southern #2018 at Gentry, Arkansas on February 13, 2019. Photographed by David Sommer, February 13, 2018. Added to the photo archive by David Sommer, April 11, 2019.